Hello~ today I want to share my latest addition product to my skincare routine. What I'll talk about is a peeling gel from V10 Plus brand. This brand is still quite rare here but I've tried their serum before and fell in love with the result. Now let me write a review about this peeling gel. Ingredients: Aqua/Water, Glycerin, Acrylates/C10-30 Alkyl Acrylate Crosspolymer, Dicocodimonium Chloride, Streartrimonium Bromide, Isopropyl Alcohol, Phenoxythanol, Oryza Sativa (rice) bran extract, Algae Extract, Butylene Glycol. The Benefits: It helps to prevent acne, reduce acne scars, Help eliminates blackheads, and also make our skin brighter and smooth. 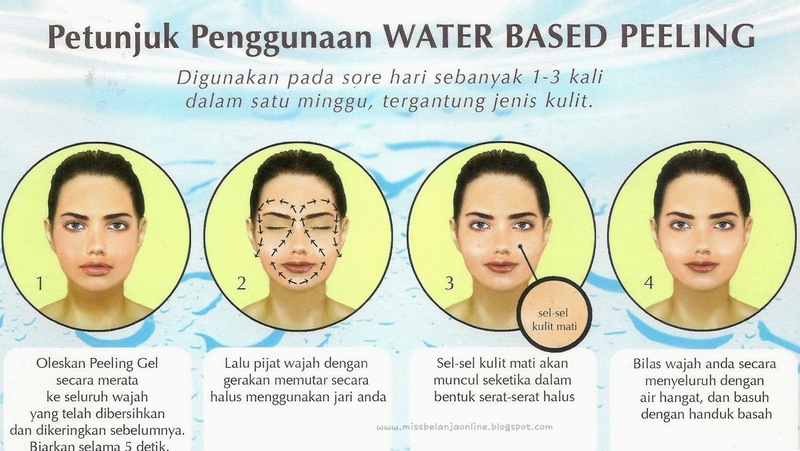 It also increase the ability of our skin to absorbs the benefit of our skincare products. Packaging: This peeling gel packed in sachet packaging. 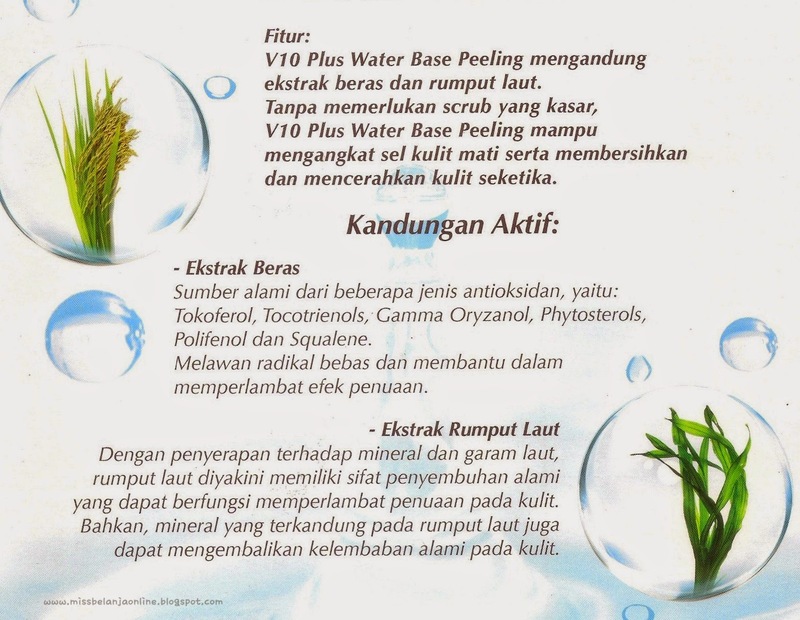 This is not sample *FYI*, V10 Plus distributed this product with sachet packaging. Also when I received it, It comes with a huge booklet including tips and trick and also the benefit of the peeling gel. So cool~ the idea is quite unique hehehe. Peeling gel: The texture is similar to jelly~ the transparent color also makes it looks like a jelly *hmmm maybe lychee jelly? lol*. Can't really tell about the scent but it sure give a fresh and cool feeling when I smell it. 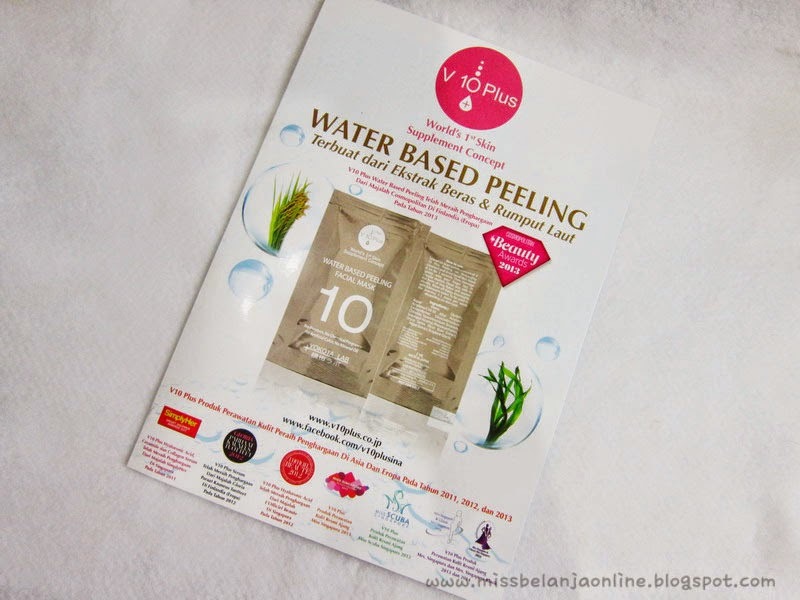 This peeling also water based, which is a favourite item for those who have oily skin like me. My Opinion: I love the texture, it is slightly thicker than the usual gel and I love the bouncy feeling when it touch my skin. 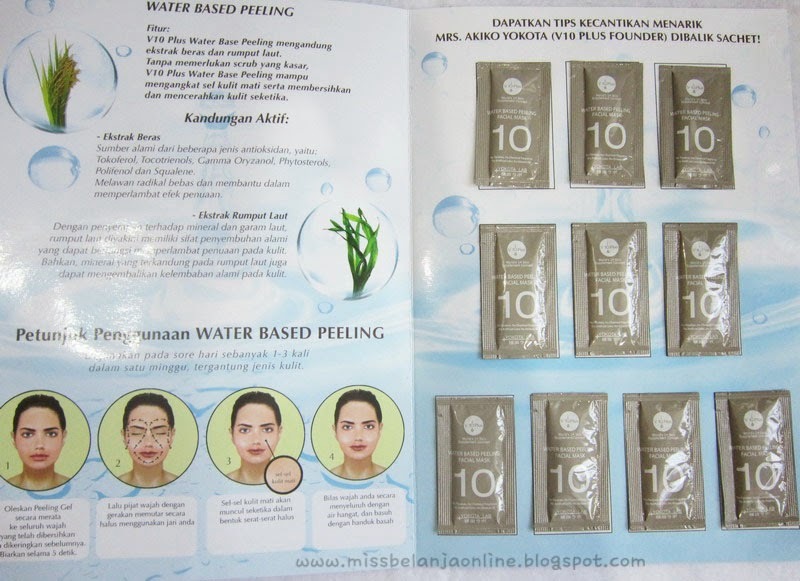 It is not harsh for my skin and also works well to brighten my skintone without giving me new acnes. Usually when I use peeling gel that contains scrub or face scrubs, I will ended up with new acne. That's why you rarely see I buy skincare product that contains scrub. I love how it makes my skin feels smooth after I wash my face. The retail price for 1 package is IDR 270.000 , But I heard they have a special price this month, you can get this package for IDR 98.000. Great deal, isn't it? Head to their Facebook Page to order this peeling gel.